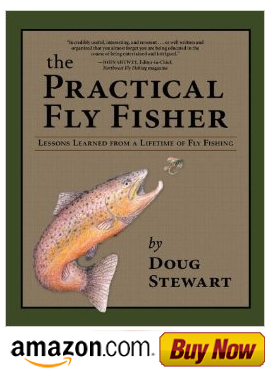 Fly Fishing with Doug Stewart: Finish Your Fly Off With a Neat Head. 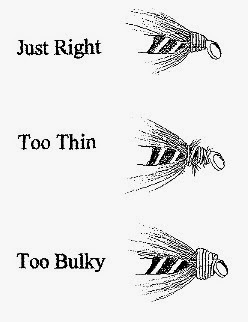 In order to finish the fly, a neatly tied head will ensure that it will stand up to the constant abuse that can occur when casting. Skimpy, loose, messy or bulky fly heads will eventually fall apart. This can be aggravating and a waste of your time. Begin by leaving enough room to tie the head, say at least 1/8th inch. Make sure that any loose materials are trimmed and/or removed. Start building the head by wrapping tightly over the material towards the eye and then wrap back over it. Depending on the hook and thread size, it may take 6 to 12 wraps back and forth. Try to build the head so that it tapers toward the eye. A whip finish is the best knot to use to tie it off. Half hitches will also work, but they’re usually not as neat. Finally, pull on the wings and other materials at the head to make sure they are tightly secured and then coat the head with a good head cement. Well tied flies can last for many years.